Panasonic combine the advantages of traditional telecommunications with the convergence of IP Technology to offer maximum features and functional flexibility. Migrating to IP is easy, Flexible and on your terms. Panasonic combines the advantages of traditional on-premise telecommunications with the convergence of UC and IP Technology to offer maximum features and functional flexibility. As one of Australia’s largest authorised Panasonic dealers, we offer huge savings on all Panasonic telephone systems and equipment from affordable entry-level phones to products that deliver advanced applications. 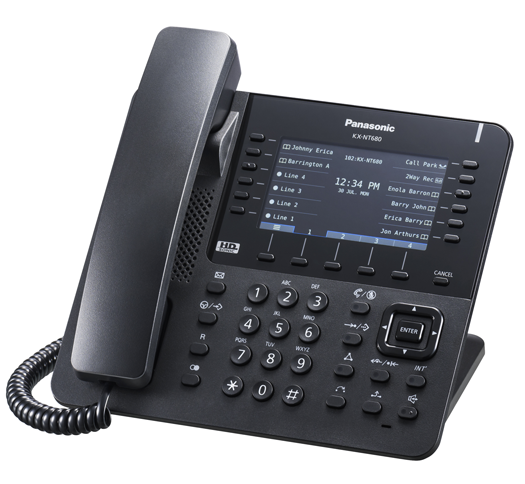 Designed specifically for small or medium-sized businesses looking to take advantage of Panasonic’s IP Phone System reputation for quality technology, without needing a huge budget, the KX-NS700 unified communications solution is a small phone system with the ability to manage big future growth. If you’re already a Panasonic customer, you can protect your current investment when migrating to our hybrid/cloud communication platform. The old NCP, TDE and TDA range can easily retain many of their existing telephone models. By using an IP network, install IP phones at a remote office without the need for a local communication server or a VPN connection. Talk with your remote offices anywhere in the world without telephone charges by using a private network with VoIP. Commandacom ensures all our offerings are superior business communication and have the capabilities to improve business efficiency. To learn more about how switching to Commandacom's Hybrid/Cloud Phone Solutions, fill out this form and one of our solution specialists will contact you. Cloud-delivered Unified Communications provide a platform for companies to communicate via voice, video, email, messaging, and file sharing with staff and customers over any devices. Commandacom Cloud Phone System is NBN-ready and loaded with traditional PBX features. This phone system runs your office phones through the internet.